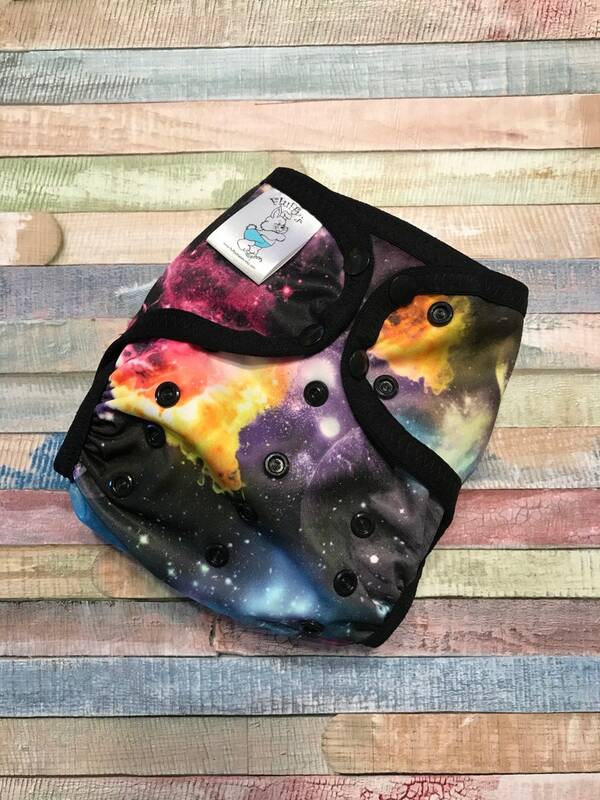 Your little one will look adorable in this fabulous Galaxy polyester PUL waterproof cloth diaper cover. It is designed to work well with both fitted diapers and prefolds. Diapers are great, cute and seem like good quality, however shipping was slower than it should have been. When messaging asking I got a response quickly then received them a couple days after.